Suri Cruise attended Kids Choice Awards 2015 in Pasadena, CA on March 28th 2015. 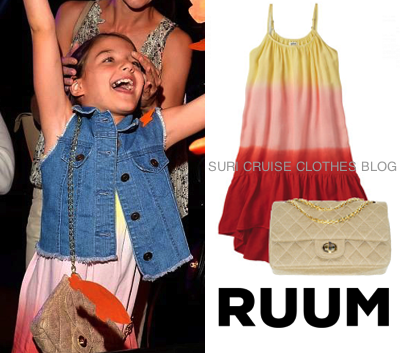 She wore an outfit from the super cool brand Ruum American Kid's Wear. Suri chose the Tangerine Dress from the SS'13 Collection & the Quilted Gold Purse part of the last Holiday Collection 2014 (both items are sold out).